Inventory all household items to be moved, and start packing NOW! Sell or give away any unwanted items. Make a list of everything to be moved. Call several Movers and obtain at least 3 estimates. If it’s a company move, check with your employer to find out what moving expenses they cover. Consider taking out Insurance on movable items. Start using things up that you can’t move, like cleaning supplies and frozen food. Estimate packing cartons needed and purchase them. (Sometimes cartons may be had from your local supermarket). Pick-up change of address kit from Post Office. Send out change of address cards, especially to old and new Post Offices. Contact Children’s school and arrange for transfer of transcripts. Contact insurance agents to transfer or cancel coverage. Close area store and other charge accounts and pay final bills. Make travel plans and plot an itinerary. Ask your employer to forward your W-2 and other tax forms. Remove all items from basement, storage sheds, attics, and plan a garage sale or charity donation for all items you don’t want to move. For tax purposes, keep a record of all moving expenses and keep receipts for anything that your donate to charity. Arrange for disconnection of utilities and connection at your new location. If your car or other possessions are not fully paid for, notify your bank or lending facility that you are moving them out of state. Call the Chamber Of Commerce and Visitors & Convention Bureau in your new town and get their new resident information packages. Get a mail subscription for the local paper in your new location to familiarize yourself with the new community, its activities and issues. Get an itemized list of all moving related costs and review with mover, including packing, loading, special charges, insurance, vehicles (if needed), etc. Contact all current and new location utility companies (gas, water, electric, cable TV, phone & trash collection) to set connect/disconnect dates. Remember to keep current utilities hooked up until move day. Make arrangements for relocation of pets and plants. Move valuables to safe deposit box to prevent loss during move. If you are packing yourself, acquire packing materials/boxes and pack items you won’t need for the next month. If professional mover is packing your goods, schedule packing day(s) 1 or 2 days before move. Prepare any mowers, snow blowers, boats, snowmobiles (or other vehicles you won’t be using before the move) for the move by servicing and draining gas and oil, to prevent a moving van fire. Repair, send out for re-upholstery, or clean furniture, drapes, carpeting as needed. Make travel arrangements for family for moving trip, allow for unexpected delays and cash needs that often occur in moves and house closings. Gather and organize all important documents and files such as Medical, Dental, Veterinary, Children’s Health & School Records, Insurance Policies, Wills, and Business Files, and keep them in a separate and easily accessible file boxes. Arrange to close all local bank accounts and open new ones in new location. Prepare auto(s) for trip to new home. Check tires and have vehicles serviced. Terminate newspaper and other delivery services at old address. Give away all plants you don’t intend to move. If you’re moving out of a building with elevators, arrange with management for use of elevators on move day. Schedule for appliance disconnects on moving day or the day before the move, if necessary. Contact your moving company counselor to review and confirm all arrangements for your move. Withdraw contents of any safe deposit boxes, return library books & rental video tapes, pick up any dry cleaning, etc. Prepare specific directions to your new home for your moving company, including your travel itinerary and emergency numbers. Plan simple meals for moving day to avoid using appliances. Make plans for care of small children on moving day. Transfer or withdraw all funds from local banks. Separate cartons and luggage items you need for personal travel so they don’t get packed on the truck. Pack a box of items you will need immediately upon arrival at your new home and have movers put this box on last (clearly mark box as PACK THIS LAST or UNPACK THIS FIRST) or take it with you. Have appliances disconnected and prepared for move. Set aside one room for packers and movers to work in freely. Arrange to have utilities turned on at new home. Notify friends and neighbors of new address and phone number (if available). Fill any necessary prescriptions, medications needed for the next two weeks. Set aside manuals and instructions for your current home for new owner. Do NOT disconnect your telephone until the day after loading. Plan on spending entire day at house with movers. Don’t leave until movers have gone. Record all utility meter readings (gas, electric, water). Stay with moving van driver to oversee inventory of goods. Give moving van driver directions to new home and numbers where you can be reached prior to delivery. Get routing information from moving van driver. Review carefully and sign bill of loading and inventory, and keep your copy in a safe place until all charges have been paid and all claims (if any) have been settled. Make final walk-through of house, including basement, attic and closets, to make sure it’s empty. Lock all windows and doors, and drop off keys with Realtor, neighbor or new owner. HomeServices is the second largest full service independent residential real estate brokerage firm, and the largest brokerage-owned settlement services (mortgage, title, escrow and insurance) provider in the United States. HomeServices, based in Minneapolis, Minn., is the nation’s second-largest, full-service residential brokerage firm and the largest provider of integrated real estate services, including brokerage services, mortgage originations, title and closing services, property and casualty insurance, home warranties and other homeownership services. HomeServices is owned by MidAmerican Energy Holdings Company, a consolidated subsidiary of Berkshire Hathaway Inc., one of the highest rated companies by Standard & Poor’s Rating Services, Fitch Ratings and Moody’s Investors Service. As an affiliate of Berkshire Hathaway, HomeServices, through MidAmerican, has access to significant financial and management resources. Search for homes worldwide on the RELO® company website. Long regarded as the premier provider of real estate services, RELO® is also a source for real estate information around the globe. As a participant in RELO® Home Search, our company gives you easy access to more than two million home listings across the country and worldwide. Simply click the RELO® Home Search button, and enter your search criteria to view the most current home listings. Whether you are considering a cross-country move or looking for a vacation retreat, the RELO® site is the ideal place to begin your search. Over 77% of home buyers use the Internet in their search. Let RELO® help you reach those buyers — worldwide. Thanks to the RELO® Home Search feature, your home can be seen by buyers worldwide on the sites of leading real estate companies across the globe. Paired with our powerful local marketing, this expanded exposure means more potential buyers will see your home in the important early stage of the home search process. 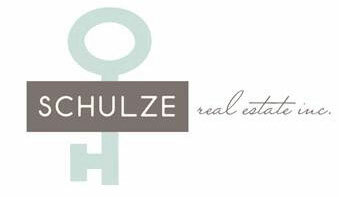 © 2019 Schulze Real Estate, Inc.